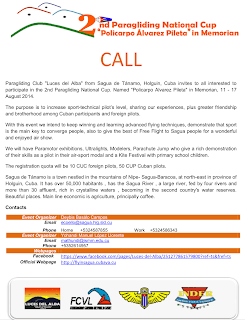 and brotherhood among Cuban participants and foreign pilots. of their skills as a pilot in their air-sport modal and a Kite Festival with primary school children. 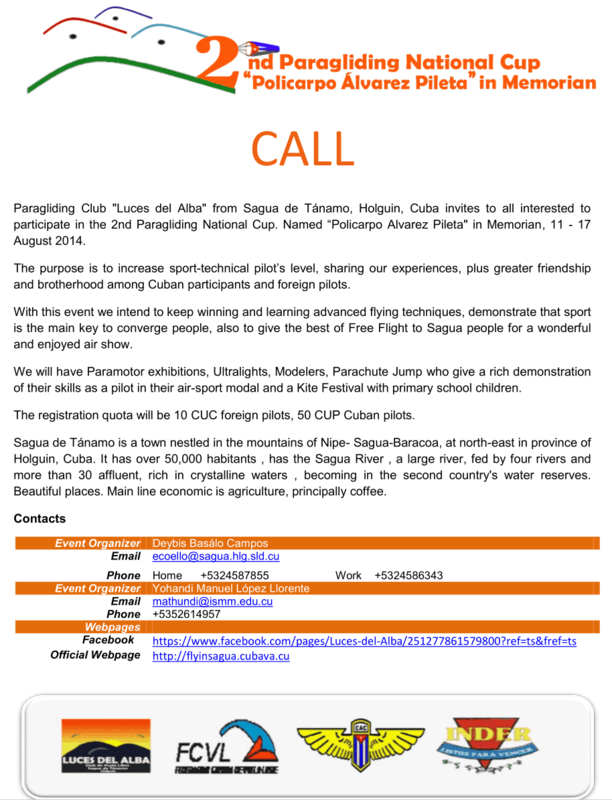 The registration quota will be 10 CUC foreign pilots, 50 CUP Cuban pilots. more than 30 affluent, rich in crystalline waters , becoming in the second country's water reserves. Beautiful places. Main line economic is agriculture, principally coffee.